It seems contradictory at first, but during economic slowdowns, accessory sales can spike. Folks who are unwilling to spend $2,000 on a new DSLR system happily spend $200 on accessories to refresh their aging system. And they’ll do it over and over. Show them a reason and they’ll find a way. I first noticed this phenomenon three decades ago when America’s economy stumbled under the Carter administration. Sales of high-ticket items got slammed, but lenses, gadget bags and other less expensive items fared better. Minolta distributed the Cokin Creative Filter system in those days (and for nearly 25 years thereafter, until the Konica fiasco), and Cokin sales stayed steady even as the economy faltered. At that time I kept remembering this phrase, and I’m sorry that I cannot remember who said it first: The last thing a person gives up is their hobby. Serious enthusiasts and hobbyists are always willing to buy accessories that expand their creative horizons. But they can’t if they don’t know what’s available. The key to selling accessories is exposure. Find ways to let your customers know what’s new, what it does and most important of all, why they need it. It’s a matter of Show and Sell. 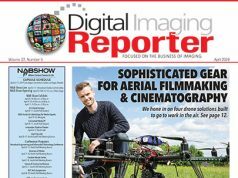 We asked Tom Gramegna, president and owner of Bergen County Camera, located in Westwood and Englewood, New Jersey, how his organization encourages accessory sales. “Bergen County Camera is fortunate because we benefit from the strength of others,” he said. “We’re part of the PRO buying group and we share best practices. It all begins with what’s in your head. To create enthusiasm you must show enthusiasm. Passion is hard to conceal; passive disregard is hard to hide. In the early 1990s, Minolta introduced a panorama-only camera called the Freedom Vista. To put it kindly, it was crippled. Cool looking camera, but who wants every picture to be cropped to a panorama format that’s more expensive to print? One dealer in Washington, DC, fell in love with it and his infatuation was infectious. He took example photos in the British Virgin Islands and kept a photo album on his counter. As you can imagine, he sold an astonishing number of cameras. The question you want customers to ask is: “How did you do that?” Infrared photography is a prime example. People unfamiliar with the technique invariably respond with a question when shown a well-done IR photo. Hang a couple of digital false-color IR prints behind the counter and you’ll be selling red IR filters like Popsicles at the Mojave Desert. Here is a message for all salespeople: don’t judge the budget limitations of others by your own. Just because you wouldn’t pay $85 for a polarizing filter doesn’t mean that a committed prosumer or even hobbyist will not. When demonstrating an accessory, recommend the item that will do the best job and deliver the best user experience. Some salespeople actually think they are doing their customers a favor by selling them cheap items—and thereby saving them money. That’s as logical as selling a car with manual transmission to a person who has a long daily commute in bumper-to-bumper traffic. Customers will let you know if the accessory is out of their price range, and when they do you can offer a lower priced solution. Store owners, answer this question: when a customer walks up to the cashier with a blister pack of four AA batteries, how many of your employees ask them if they’ve ever thought about rechargeable NiMH cells instead? Olympus and Panasonic have created the potential for an enormous accessory market without necessarily meaning to do so. Cameras that are part of the Fourth Thirds (4/3s) system, and especially those in the Micro 4/3s system (M43), have opened the door to retrofitting legacy lenses to current, high-tech camera bodies. This is a case of a new camera body being sold as an accessory that enables the use of beloved legacy lenses. 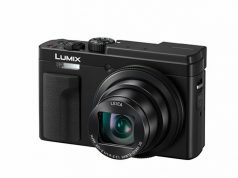 Cameras like the Panasonic Lumix GF1 or the Olympus E-PL1 do a phenomenal job on the capture side. And—because of the reduced back-focus that’s part of the mirror-less design—they accommodate a variety of foreign lenses, including Olympus OM-1, Pentax K, Leica M, R and S, Nikon and so forth. OK—not all function the same automated way they do on a prime camera body, but they are highly usable. Tell a customer that he can use his legacy lenses on a modern, highly sophisticated digital hybrid interchangeable-lens model and what reaction would you expect? Sign me up! Adding a high quality all-in-one zoom, like the Tamron 18–270mm for example, to an older camera body makes it perform essentially like a new camera. The control dials and buttons are still in the same place (that’s a good thing), but the customer can do so many new things with the combination. Example photos sell lenses. Again, it’s a matter of show and sell. If you’re too busy to shoot the examples yourself, go to the Tamron, Sigma or Lensbaby website (or all three), and you’ll find stunning images to show your customers why they need a new lens. Get a customer hooked on high-quality inkjet printing and you open the door to selling assorted paper, gallons of ink, software and other profitable items. Once again, you have to show it to sell it, and by “it” we mean the end results, not the hardware. 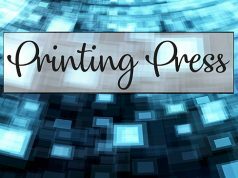 On the less lavish side, budget-priced printers still generate significant accessory sales and handsome revenue. A small 4×6 snapshot printer, like the Canon Selphy CP780, will practically sell itself if you make it accessible to customers. Invite them to print a photo from their memory card, their PictBridge-enabled camera or camcorder, or over a wireless Bluetooth connection.